Maternity Services at the Centenary Hospital for Women and Children offers a range of programs to women during pregnancy, birth and after birth. 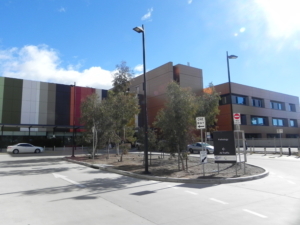 These maternity services provide woman centred, holistic, evidence based, culturally respectful, quality care for women in the ACT and surrounding areas. All women intending to have their baby at the Centenary Hospital for Women and Children are invited to attend a Healthy Pregnancy Information Session before 14 weeks of pregnancy. The sessions focus on early pregnancy issues, nutrition, self-care, common pregnancy concerns and options of care and booking processes. The Centenary Hospital for Women and Children offer pregnancy and childbirth education sessions which are available for all services and programs at the hospital. Women and their partners or support person are encouraged to attend these classes. The Centenary Hospital has a single entry point for all maternity referrals. Once we receive a referral from your GP we will allocate you to the best model of care to suit your needs. If you would like a continuity of midwifery care, a Birth Centre birth or a publicly funded Homebirth please ask your doctor to write this on the referral. These options are described in more detail below.